Evgeny has multidisciplinary expertise in numerical methods, mathematical modeling, fluid mechanics, heat and mass transfer. In 2007, Evgeny graduated from the Mechanics and Mathematics Department of Novosibirsk State University, and in 2014, he received his Candidate of Science degree at Tomsk State University. In his Master’s thesis Evgeny applied a numerical method for modeling laser welding processes. After graduation, he joined the Russian Science Center of Baker Hughes, an oilfield service company, collocated with the Siberian Branch of the Russian Academy of Sciences in Novosibirsk. There Evgeny led and participated in projects that developed an automated system for optimization and control of the drilling process. These projects consist of two parts: (1) development of models and algorithms describing complex hydrodynamic processes while drilling, and (2) systematical modeling of these processes and development of the system for fast prediction of the key parameters. The studies involved Newtonian and non-Newtonian fluids, their laminar and turbulent flows, multiphase problems associated with efficient cutting transport and hydraulic effects in the long channels. In the result of the project, an algorithm for fast prediction of the key flow parameters while drilling has been developed and integrated into drilling engineer’s software. Some results of this work related to modeling of non-Newtonian fluids flows in the turbulent regime were reflected in Evgeny’s Candidate of Science thesis. 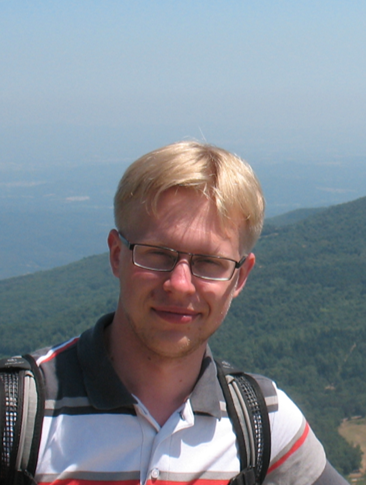 At Skoltech Evgeny is working in the project leading by A.Shapeev and focused on development of machine-learning-based models of interatomic interactions. The main idea of the project is to apply machine-learning techniques for construction of interatomic potentials in a way that allows combination of accuracy and performance. In particular, Evgeny’s efforts focused on active learning and learning-on-the-fly of machine-learning interatomic potentials. Podryabinkin E.V., Rudyak V.Ya. Moment and Forces Exerted on the Inner Cylinder in Eccentric Annular Flow. Journal of Engineering Thermophysics. 2011. Vol. 20, No. 3. pp. 320–328. Podryabinkin E.V., Rudyak V.Ya. Modeling of Pseudoplastic and Viscoplastic Fluid Flows in the Annular Channel with Eccentricity. Proceedings of Higher School of Academy of Sciences. 2012. No. 2 (19). Pp. 112–122. Podryabinkin E.V., Rudyak V.Ya. Modeling of Turbulent Flows in the Annular Channel with Eccentricity and Inner Tube Rotation. Proceedings of NSU: Physics. 2012. V. 7, No. 4. Pp. 79–87. Podryabinkin E., Gavrilov A., Rudyak V., May R. Detailed Modeling of Drilling Fluid Flow in a Wellbore Annulus While Drilling. Proceedings of the ASME 2013 32nd International Conference on Ocean, Offshore and Arctic Engineering OMAE13. OMAE2013-11031. Podryabinkin E., Gavrilov A., Rudyak V., May R. Detailed Modeling of Drilling Fluid Flow in a Wellbore Annulus While Drilling. Canadian Energy Technology & Innovation. 2014. Vol. 1, No. 5. P. 27–36. Podryabinkin E., Ahmed R., Tarasevich V., May R. Evaluation of Pressure Change While Steady-State Tripping. Proceedings of the ASME 2014 33rd International Conference on Ocean, Offshore and Arctic Engineering OMAE2014. 2014. OMAE2014-23672. Podryabinkin E., Tarasevich V., May R., Ahmed R. Modeling and Evaluating Surge Pressure while Tripping in a Borehole. Oil and Gas European Magazine. 2014. Vol. 40, No. 1. pp. 21–23. Podryabinkin E.V., Rudyak V.Ya. Modeling of turbulent annular flows of Hershel-Bulkley fluids with eccentricity and inner cylinder rotation. Journal of Engineering Thermophysics. 2014. Vol. 23, No. 2, pp. 137–147. Gavrilov A.A., Finnikov K.A., Podryabinkin E.V. Modeling of Steady Herschel–Bulkley Fluid Flow Over a Sphere. Journal of Engineering Thermophysics. 2017. Vol. 26, No. 2, pp. 197–215. Podryabinkin, E., Tarasevich, V., May, R., Bocharov, O. Modelling of pressure fluctuations in a wellbore while tripping. Oil and Gas European Magazine. 2016. Vol. 43, No. 1. pp. 14–20. Podryabinkin E.V., Shapeev A.V. Active learning of linearly parametrized interatomic potentials. Computational Materials Science. 2017. Vol. 140, pp. 171–180. Gubaev K.V., Podryabinkin E.V., Shapeev A.V. Machine learning of molecular properties: Locality and active learning. The Journal of Chemical Physics. 2018. Vol. 148, 241727. Gubaev K.V., Podryabinkin E.V., Hart G.L.W., Shapeev A.V. Accelerating high-throughput searches for new alloys with active learning of interatomic potentials. Computational Materials Science. 156 (2019). 148–156.